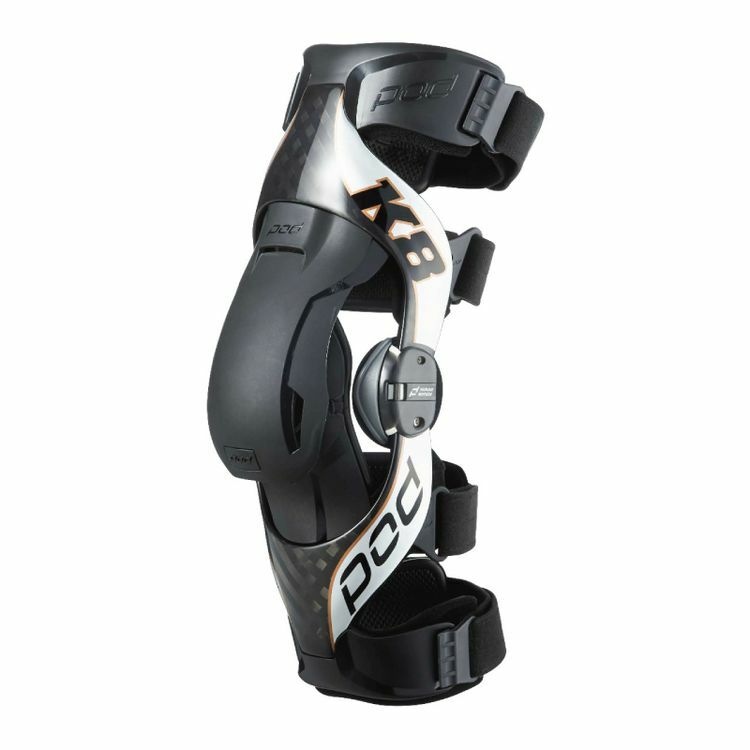 The K8 Knee Brace is setting the standards for knee protection and delivers a unique impact guard design that provides better protection to your knee. A slimmer hinge housing with improved ligaments and dampening inserts and knee grippers make for one of the most comfortable and protective braces on the market today. The Quick-Loc Clip System allows you to anchor the brace to your leg quicker and easier than ever which means no more rushing and messing with clunky buckles or straps before your ride.